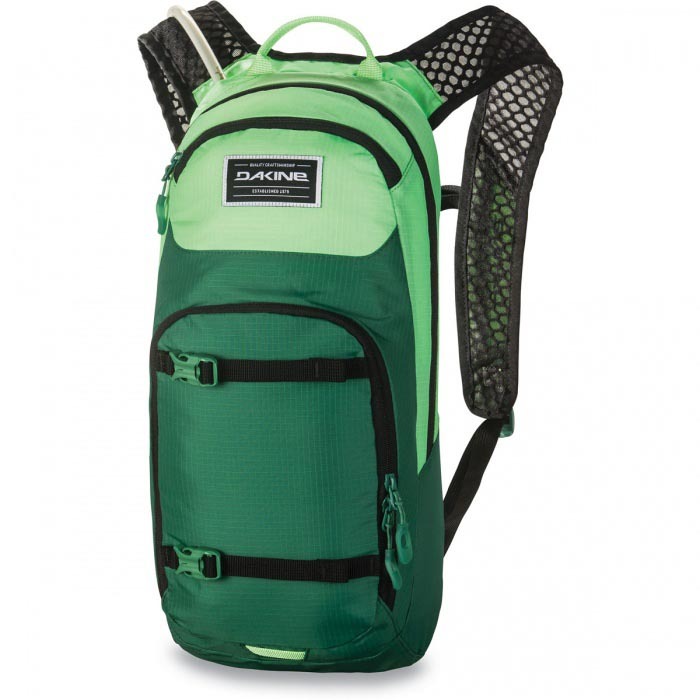 The Dakine Session 8L Hydration Pack is a rugged little pack that offers a plenty of hydration and storage for short rides. The Session features multiple storage pockets and compartments for plenty of room for your ride essentials. Pack some nutritionals and your bike tools for worry free adventuring. The 70oz reservoir provides plenty of hydration capacity and breathable DriMesh back panels and shoulder straps keeps air flowing to your back and ensure a comfortable fit. This is a great purchase. I needed more space then my last hydration pack and this was exactly what I needed. I 10/10 recommend this. Perfect pack for mtb. Light weight, breathable and plenty of room for a few extra items. My first pack, love it, like the extended pockets that the pictures don't show. Good quality, light weight, perfect size. I use this on my MTB rides. Love it! JensonUSA always surprising me. Really fast shipping, got everything i needed, right on time, good price. Totaly recomended. Well priced, comfortable and not too large pack. Super good pack. Nice and slim, doesn’t build sweat on your back and very comfortable for long periods. Can fit all my on the go tool, tubes, snacks and an extra layer. Wandered all over Crankworx wearing it all day for days at a time with no discomfort. So far so good. Absolutely love it. Would recommend it to anyone who goes for 3 to 4 hour rides max. Any longer you need a bigger pack. I ride with a tube a pump spare chain and links. Multi tool pliar Multi tool 2l water 6 bars. The sunglass pouch is great put my pit Vipers in there. I got it mostly because it's a good looking bag. But the ability to organize trail gear in the front pouch is great. And filling the water blatter is way easier than other bags I've had including Camelbacks. I’ve searching for a small hydration pack and this one is perfect. Just the right amount of storage, good ventilation, and great thin shoulder straps. This bag is great! Just compact enough for shorter rides but enough storage for nutrition, gear, sunglasses, keys, etc., for longer rides. Easy to fill and clean reservoir too. Good bag with a little room. This is good for 1/2 day out. Not much room for extra clothing or pads with a full bladder. You have to squeeze the stuff in. Would go larger if you need to carry more stuff but for a half day out, this bag is pretty good. came with 50oz reservoir, not 70 oz. The first time I used the Dakine I was no sure how to accomodate both my Glasses and my Smartphone, so I decided to put the Smartphone inside (not in the small pack outside). Unfortunately, my cellphone got broker for the other equipment I had inside. Does this have a lower waist strap? BEST ANSWER: It does indeed have a lower waist strap and it's not very obtrusive if you decide not to use it. Yes, it has a strap that is adjustable with a plastic buckle. Yes it does, as well as a sternum strap as well. Yep, also has a chest strap as well.